We are pleased to have been instructed to act in the sale of the unique custom built ‘Ulva Barge’. 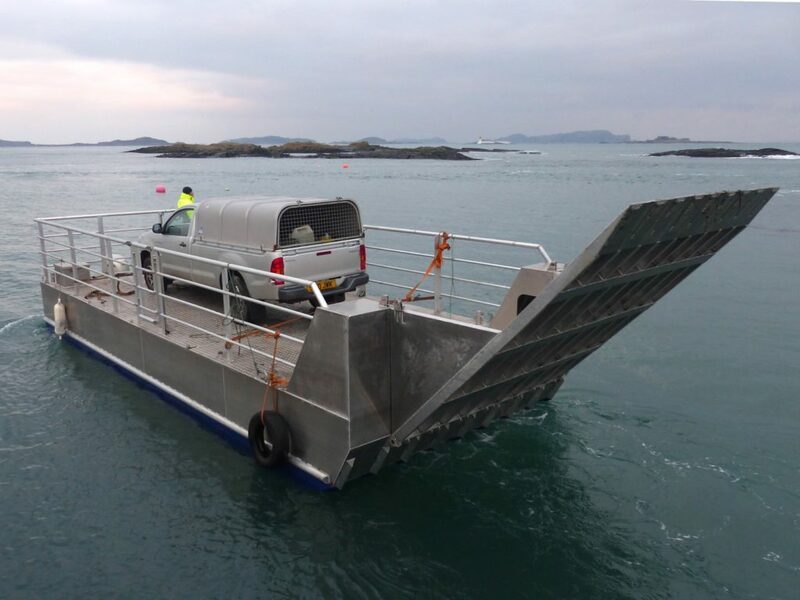 Commissioned by the vendor the vessel was built for the transportation of livestock and plant between islands. It has been only lightly used and not operated commercially. Constructed in welded alloy the vessel has an estimated payload capacity of approximately 6,500kg with a gross displacement of approximately 10,000kg. The deck layout designed to accommodate a 7T capacity tracked excavator. Clear of obstruction excluding the helm console and hull access hatch at the aft end. Forward the fixed length loading ramp drops down to allow easy loading from a beach or pier. Additional car ramps are aboard if required. Find full details of this unique vessel here.